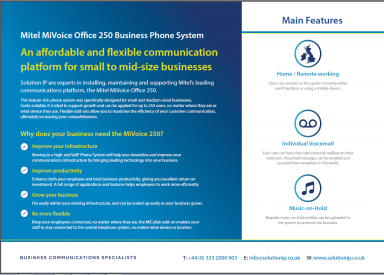 We are specialists in delivering the MiVoice 250 phone system. Our team of expert engineers based in Bristol can help you to increase productivity and improve collaboration with the industry-leading Mitel MiVoice Office 250 Communications Platform. As Mitel system specialists, we understand how to ensure you get the most out of your business communications tools. We specialise in configuring this versatile platform to meet your specific business needs, and can also deliver bespoke Mitel Training services for any number of users, at your office. Once we’ve installed your solution, and ensured your users are trained up on all the features and applications, we can provide tailored Mitel support and maintenance services, designed to give you complete peace of mind should anything go wrong. Our dedicated support team and our skilled Mitel engineers are available to resolve issues either on-site or remotely, as required. Why does my business need the Mitel 250 Phone System? The MiVoice Office 250 (formerly known as the Mitel 5000) system is designed to connect your employees no matter what their location or preferred style of working- whether on the road, on site, hot-desking or working from home. The solution is aimed at businesses of all sizes, but particularly well suited to medium sized companies looking to boost productivity, and to companies with multiple sites, which can all be linked to the central system. It is a cost efficient, reliable communications solution. You can read our product review here. Interested in the Mitel 250 System? Get in touch, we’ll call you back. 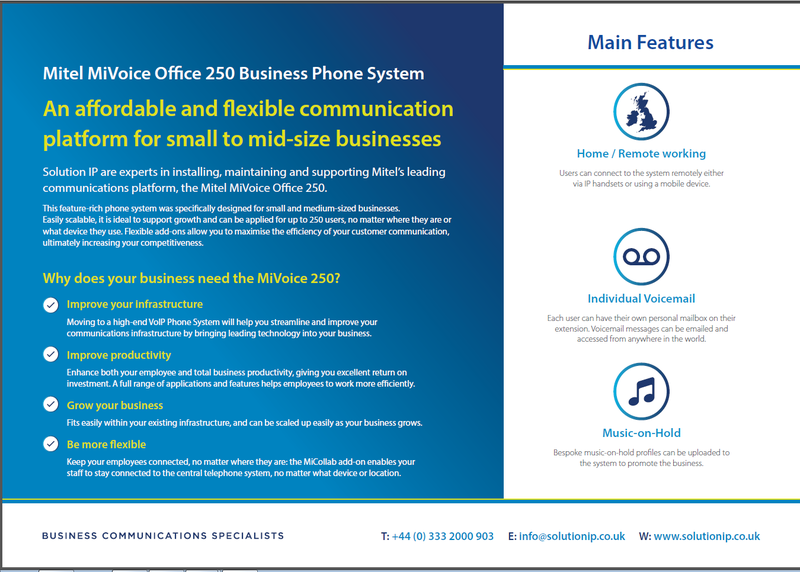 The MiVoice 250 is also customisable, with moblity additions available including MiCollab and the Mitel MiCollab Client. Investing in a versatile VoIP business telephone system like the MiVoice 250 is a big decision. Make sure you feel completely confident in your investment by using our expertise to deliver and support your Mitel system.